Bubble Gum Cigarettes 24ct Box - Bubble Gum Cigarettes by Swell Candy Co., 24 individually Boxes of Bubble Gum Cigarettes. 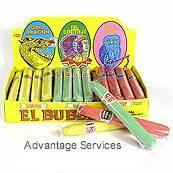 Bubble gum cigarettes that look real but are perfectly healthy. Bubble Gum Cigarettes by Swell Candy Co., 24 individually Boxes of Bubble Gum Cigarettes. 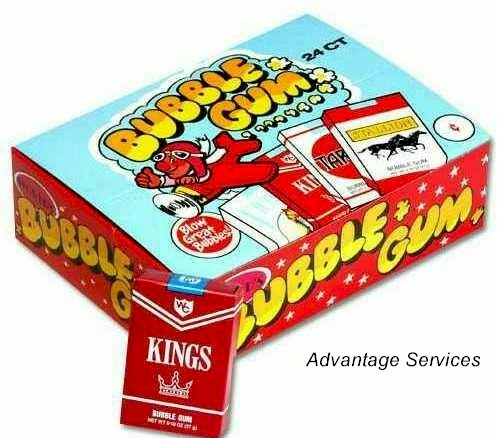 Bubble gum cigarettes that look real but are perfectly healthy. Give them to someone who smokes and Puff out sugar!